There are swimming sessions this week on Thursday 27th and Friday 28th but not Sunday 30th May. Due to Bank Holiday weekend and the half-term break, sessions will not resume again until Thursday 10th June. Have a good break! Join our sponsored swim on Sunday 13 June! We will hold a sponsored swim at Honiton swimming pool on Sunday 13 June between 6 – 7 pm. All ages welcome. 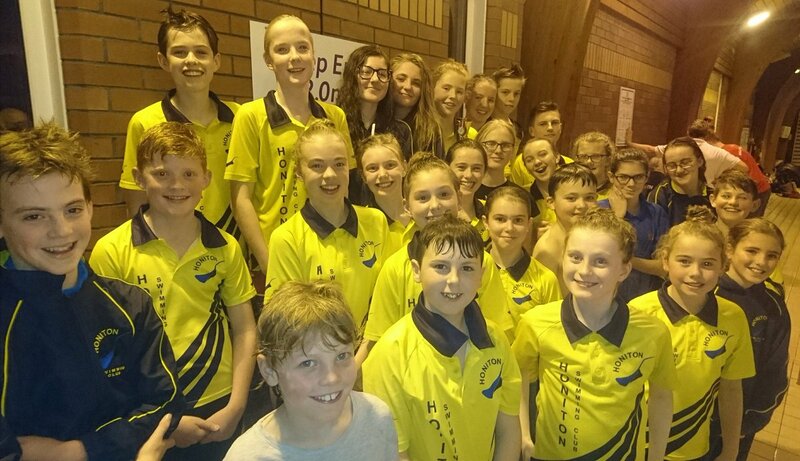 The aim is to swim as many lengths as possible within 20 minutes to raise money for Honiton Swimming Club. You can have yourself sponsored per swim, or per length swum! Please contact Tina Alam for more info, or email honitonswim@yahoo.co.uk for a sponsorship form. Due to Bank Holiday weekend there is no swimming tonight. Fancy a change from the pool and try something different? More photos from the Easter Egg hunt and from the Plymouth Gala (by Ralph Lynch) have been uploaded today – check out our photo pages. Enjoy your break, and see you all again in the week of 19 April (first session on Thursday 22nd). Happy Easter!